BitDefender has officially released BitDefender Mobile Security, a powerful mobile security tool for Android devices which includes features such as on-demand scanning, on-install scanning, and much more. The open nature of Android OS has made the platform more prone to be infested with malware. The new BitDefender Mobile Security provides optimized scanning process that can minimize resource consumption and extends battery life to enhance Android experience. In addition, it also allows users to keep track of each application and displaying which application try to access Internet or sensitive data. It will also indicate which software may charges on bill. BitDefender Mobile Security for Android is free and available in the Android Market, and the app is compatible with Android 2.0 or later. 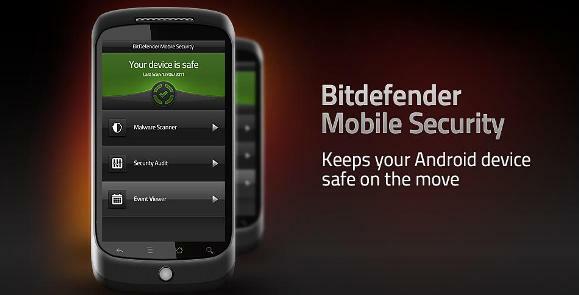 Download BitDefender Mobile Security for Android from Android Market. From early words, the BitDefender Mobile Security indeed works to its claim that it does not drain battery life, and light on system resources. How effective the app can be used to detect malware remains to be seen, as while possible, the malware on Android is not yet on a broad-scale attack, yet.